Micro Focus PPM standardizes, manages, and records project and portfolio activities so you can make the right decisions at the right time. Work for Micro Focus PPM? Learning about Micro Focus PPM? "Might&Magic PPM tools for almost every task you could imagine "
This tool is highly customizable and allow you to tailor almost everything you need in it to your needs in managing requests, projects, programs&portfolios,workflows and resources all-in-one tool. And there are many options to integrate this tool with other solutions like CRM, HR management etc. You can start with one option (request management f.e.) and grow solution step by step to cover all you need. The price is high. Support is not so fast as I wish and you should be prepared to resolve some problems by yourself. GUI is very old style and web GUI have usually have problems with latest versions of popular browsers. You should have you own local admin/development team to support PPM implementation and quickly resolve problems (don't wait support, they are not too fast). You can do almost all with integration and API, but fist you should fully and clear identify your requirements. And remember that vendor could not support all customisations you can do with PPM. You should think about good SQL and Oracle DB dev team, because it's highly likely you will need to optimize SQL code and use latest features of Oracle to get PPM work fast enough for real implementation. We manage many projects with different tools (in different teams and departments) and we can get whole picture fro all projects in PPM after integration on data level with all these different tools. Also we can manage resources for projects from one point and get actual information from PPM. "One of the Best PPM System"
Micro Focus PPM has advanced portfolio management module that completely manage all your project portfolio. You can use what-if scenarios and can see resource availability and capacity in advance. Micro Focus PPM can also manage program. You can see top view all financials, resources and the progress of the projects of the programs. Resource management with time management is the most powerful side of Micro Focus PPM. You can control overtime, overlap, not enough utilized resources in one screen. You can also manage company calender and resource calender. Graphical workflow engine is also the most powerful side of Micro Focus PPM. Rather than dislike it's an opportunity to differentiate in the market. Micro Focus PPM mobility must be improved especially Timesheet module. If Micro Focus Service Management and PPM communicate about resource management it will be the best resource management tool for Service Provider companies. Organizational chart changes are hard to manage in MF PPM. Resource management requirements perfectly solved with PPM in project based working teams. Portfolio and program management solution also help to compaines. "Full Featured Project & Portfolio Management"
This product has almost everything you need for managing requests, project, programs and portfolios. It is up to the organization to select the parts to implement. It is highly customizable, allowing you to tailor it to your needs, not just use it the same way everyone uses it. Good support is severely lacking, especially considering the price. The reply to many defect submittals is "this is working as designed". The user interface is very rigid. You are limited to 3 columns of data with little control other than the column and row where the field appears. Spend the time and money to fully identify your requirements. Start with a minimum set of requirements but with a clear roadmap to full implementation. Make sure you get someone that knows the product inside and out to help with this roadmap and the implementation. It is much easier to do it right from the beginning and you will find it almost impossible to correct later - not because of the system but because of the organizational changes required. We are managing over 700 projects. We forecast all financial data using PPM and send this to Oracle EBS through a custom interface. We now have real-time project reporting across the organization. "HPE PPM is one of the best Project and Portfolio management tools. " - Provides visibility into strategic, operational demands of the organisation. and thereby providing Resource manager a big relief. costs are rolled up to the project. - Easy to customize, provision of webservices make it easy to integrate to other third party applications. - It derives predictive analysis with data that you can trust on. Lack of fancy reporting in HPE PPM, the senior execs and other stakeholders want to look at more graphical and animated reports. More focus on fancy and animated reporting. Once of the of the problem was - Implementation of Program and Portfolio management at an organisation. The benefit was to give them more clear view of the projects happening in their programs and portfolios. As a result , the program and portfolio managers got more visibility in deciding the projects, proposals they can pursue for the fiscal year. This is standard OOTB functionality,if used properly then it is a real benefit to the organization. "Bit of a Laborous Start; But Worth the Time." I like that PPM allows me to view available funds, duration, and expected outcomes for different projects. For a non-profit organization, I've been able to define this software for out particular use. It allows us to quickly see which fundraising project is supporting the goals and objectives of our organization as well which ones aren't so that they can be eliminated. It was a bit of a chore getting starting as PPM was intimidating. It did require some refining at our end to get this program to conform to our needs. It has enabled us to budget projects more effectively while allowing each board member to view each step-by-step clearer so that prioritizing events and functions have become less stressful. "Overall a good product with but with a legacy type of UI"
The completeness of the functionality to accommodate organizational needs. ease of configuration and customizations. The UI is a bit of legacy type. We need to be more quick in understanding market needs. Since PPM is tightly attached to its legacy design, we need to come out quickly and improve the UI. Resource management UI and processes needs to be standardized and improved. Project Management Process implementation along with governance. Resource management. "Tailorable and powerful, but can be a challenge to learn the internal workings." Very tailorable to your shop and its particular requirements. Splash screens and internal functionality are all tweak-able to fit your needs. The online community is pretty widespread and questions asked are often given a lot of attention. Be sure to spend time reviewing older Q/A threads to see other opportunities for learning you may not have thought about. At one point their website was overly complex and difficult to navigate- especially when trying to submit support requests, but in the past year or two, it has been greatly streamlined and cleaned up. Just as it is very tailorable, its complexity leads to a non-intuitive administrative interface. It takes work and research to determine how to best accomplish your needs, but there are good online forums and KB articles to get you rolling. We use it to migrate application changes and to track our process for doing the migrations. This leads to good relations with auditors when you can provide system generated reports on what has been accomplished. - Easy configuration of proposal forms and workflow. - Solid resource management and forecasting labor spend. - Staffing plan functionality is strong and forces consistency for spend calculations. - Roll-up of spend to programs and portfolios. - Would like to see reporting improved. One of the biggest challenges that you'll have (with any tool) is getting people to understand what PPM is and what it isn't. I've spent a lot of time trying to both listen and discuss what we wanted to do with PPM and it was a challenge to get down to the appropriate level of detail to make as much of a difference as the tool would enable. PPM takes an investment in more than just a tool and you can't treated lightly. Primary focus has been managing and forecasting labor spend on a very large project with high turnover. PPM has allowed us to gain control over this labor spend. "Somewhat cumbersome time tracking application geared more for projects being billed to clients." I like that the hours entered are automatically tabulated and submission conditions are checked on every SAVE of the application. This helps to ensure that I do not enter too many hours and/or too few hours. I am a basic user of the system and therefore can only review the application from that standpoint. With this in mind, as a user, I think the application is rather cumbersome. If you add more than a handful of tasks / assets / miscellaneous items to your time sheet (which can happen in a large organization), you end up scrolling all over the place to enter time and it becomes difficult to ensure you are are entering time on the correct days. This occurs because of the rather sad scroll bar that generates within the application itself, so that you find yourself scrolling the browser window, plus this internal window. Additionally, as a user, it is frustrating that you cannot create project buckets on your own or sub-buckets: nothing is very clear in the application as to what should go in each type of item and as a whole i think the product is difficult to use. I personally could not recommend HP PPM from a user standpoint, I do not like it, the fact that as a user I cannot create my own time buckets, and that it is cumbersome to use. I am not a power user and cannot speak to this. "Great tool to really enable 360 degree visibility into your project portfolio"
PPM has a very strong and flexible workflow engine that could be used to run all kinds of IT service processes apart from doing a great job in project and portfolio management. Very easy to use with little effort and quick win implementations. HP PPM integrates easily with other tools you might have in your landscape (for example tools for test management: HP ALM/QC or the HP Service Manager). HP PPM has a very scalable architecture able to support more than 1000 users easily. Nothing that I really dislike. But on my wishlist I have quicker official support for current browser versions and the replacement of the Java configuration applet with a web interface (at least for the functions that are often used by administrators like user administration). If you decide to use HP PPM for your portfolio management it is most likely the right decision. It has everything a tool in that domain can offer - the rest is getting your organization ready to really benefit from the tool - this is not a tool question but a corporate culture question. I was part of different implementations. With portfolio management you gain a complete overview of your organizations value chains with an ability to decide where to spend your budget in an optimal way. With Demand Management you can optimize all kinds of processes within your (IT) organization getting rid of a lot of consolidation effort compared to e.g. doing the same processes using e-mails. "Quiality - Project | Portfolio Management"
One of the only things that could be seen as a dislike to smaller and start up companies could be the cost, since their are some other tools that one could download and use that are basically free. Have an idea of Project and Portfolio Management, and reach out to others if you find yourself needing help or running into walls. We have used HP PPM to manage our staffing profile, and collaborate among new projects. "Good application to managed IT project." It help us to migrate entity between Oracle business instance, managed project life cycle, managed employee working time very good. Software company shoud use this product. I am the PPM expect, I have been work for this product for 3 years, I take responsibility to solve all the concern come from my customer. If you are looking at a tool to implement the Project Management ,Resource Management ,Demand and Deployment Mangement this is the best tool.It can also be integrated with other HP tools and non hp tools with the help of adapters and webservices. "A PPM consultant in the past and now Application Architect"
Resource Management and Portfolio Planning. We also want to use PPM for planning purposes. "HP PPM goes beyond Project and Portfolio Management"
HP PPM is a very strong Project and Portfolio Management tool that is proprietary but runs on open source programming standards meaning there is less 'vendor lockin' resulting in lower support and development costs compared to competing products like CA Clarity PPM (overly proprietary leveraging proprietary programming standards). Demand Management over HP PPM gives the product the flexibility to build and accomodate robust, rapidly tailored, client centric processes over a centralized platform that support parallel project management extensions, as well as Change and Release Management for complex Enterprise applications. It is the only HP software product that I consider 'BYOP' enabled (Build your own process - my own acronym) and over the last 12 years I have worked with numerous clients that have transformed the nature of what the application does for them. I feel the foundation license cost is high for instances with > 25 users. This limits, doesn't promote, adoption in a competitive market. I also feel that HP needs to take on more specialized vendors as opposed to vendors that have to look up 'HP PPM' on the Web when they receive an client inquiry. For example, I recently told a HP vendor that a potential client would like to buy HP PPM for Deployment Management of Oracle E-business Suite and they felt other HP products we're better suited for the task at hand ?? There is also a therefore a major disconnect between sales and delivery. Think beyond just project and portfolio management. You're getting a centralized application that can do so much more. "An PPM tool with great features low usability"
HP PPM is an excellent tool for project managers. I like the project management features of work-planning, portlets for viewing status and progress. The time traking ability also is excellent. HP PPM provides flexibility to design security features on who can do what. I do not line the complexity of the process and the training one requires to understand how to use the process. The resource management process is too cumbursome and has a longer learning process. Program Management module doesn't provide any value. Scenario comparison doesn't take shared resources into account while comparing plan againt capacity. The business problem I am dealing with is to have an organizational view of portfolio management that provides effective investment and resource utilization by identifying areas of improvement. It take some time to configure and you need to spend time on setting up the right configurations or you will have a lot of issues. Its a single point of entry for data commonly accessed by leadership and PM team. The only handy thing about PPM is looking up resource management details. Details such as primary skill and allocation are good to know. Timesheet management is a pain to familiarize yourself with. I understand the need for PPM but this solution is bulky and hard to navigate. Not very user friendly. Our cloud-implementation of HP PPM is running a 99.99 availability which is crucial for our business. That alongside the options for tailoring the setup to fit our needs, makes it on of the very top applications in our stack. Kudos! The interface could be a bit more up-to-date and responsive. For example a simple thing like scaling a portlet by dragging the mouse, would be nice. And of course I would like it if screens changed the second I made som input. Just 1 or 2 seconds of hang time, gets noticed. HP PPM is the one tool for managing our AD projects. Moving to a single way of working enables us to manage our portfolio, just the way we want. PPM is a very easy to use and effective way to manage project time and the resources that are assigned to each project. To be honest I really have not had any bad experiences. My only complaint might be that I have heard it is challenging to pull report data from. "Review of HP PPM for G2 Crowd"
The best thing about HP PPM is it's ease of use and the fact that it meets most of the requirements. We have encountered setup issues many times and maintenance is also an issue. Managing the entire IT project portfolio for a big bank and creating it's BoW. Its one stop shop for time tracking, time management, project management, budget forecasting!!! Great tool for project managers!! Nothing!! Its great tool to work with!! For now, i dont see any disadvantages!! Great tool for Project Managers!! I am managing the project by using PPM like tracking time of all consultants, managing budget by comparing forecasted and actual budget, managing project plan and tracking project status and project risks and issues. Using this tool, company PMO also keeps track of all the projects. It's intuitive and it helps keep all the details needed to move forward with the projects. Nothing in particular stands out for me. I utilize this as a PMIS tool to keep the projects in. The benefit is to house all of the information in one system. "If you have the money and time to invest ...."
It was quite pricey and a little cumbersome to use. Your IT shop needs to be set up a certain way for it to really be beneficial. If you are looking for a good PPM software suite, this one should be on your list. Just don't be suprised with the cost when you get down to that level. * We monitor all Micro Focus PPM reviews to prevent fraudulent reviews and keep review quality high. We do not post reviews by company employees or direct competitors. Validated reviews require the user to submit a screenshot of the product containing their user ID, in order to verify a user is an actual user of the product. Hi there! 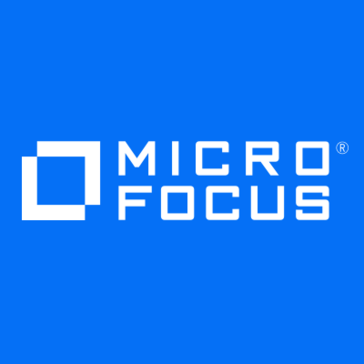 Are you looking to implement a solution like Micro Focus PPM?